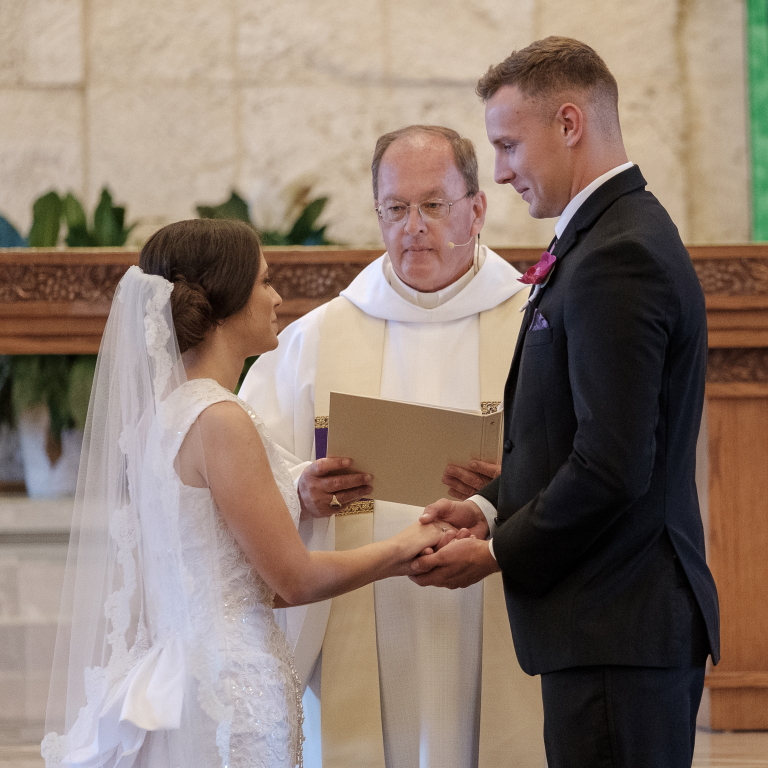 “The marriage covenant, by which a man and a woman form with each other an intimate communion of life and love, has been founded and endowed with its own special laws by the Creator. By its very nature it is ordered to the good of the couple, as well as to the generation and education of children. Christ the Lord raised marriage between the baptized to the dignity of a sacrament” (Catechism of the Catholic Church #1660, cf. CIC, can. 1055 1; cf. GS 48 1). To be married at St. Brendan, arrangements must be made at least six months in advance. Weddings are scheduled on Saturdays at 11:00 a.m. or 2:00 p.m. only. Please contact Fr. Tom for an appointment: (386) 441-1505.